This time with a new Primeknit upper. The "Triple Red" adidas Ultra Boost Uncaged isn't the only style of the popular adidas shoe that will be getting dipped in red. 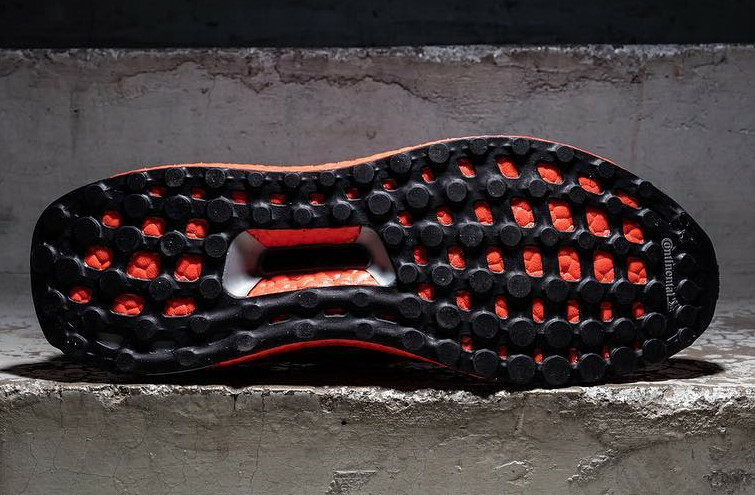 Coming close enough is this take on the original adidas Ultra Boost that is almost all red save for the the outsole tread and the support piece on back. 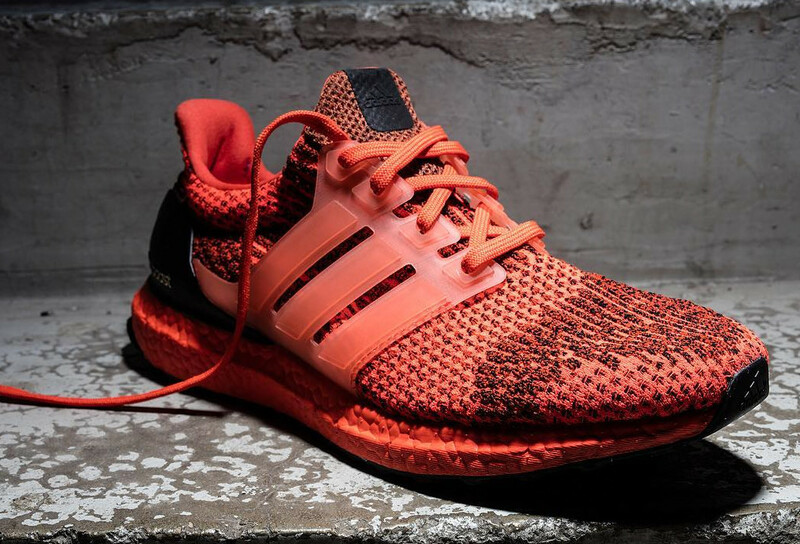 While this is indeed the original Ultra Boost, the Primeknit pattern on the upper differs from those found on the first couple waves of releases for the sneaker. It's also got a translucent support cage that's been seen elsewhere on upcoming pairs. For now there is no sneaker release date info on the "Triple Red" adidas Ultra Boost, but readers can follow the shoe here for updates.